An online collection of written works related to immigration. Users can navigate content by a number of content tags and cross-references. 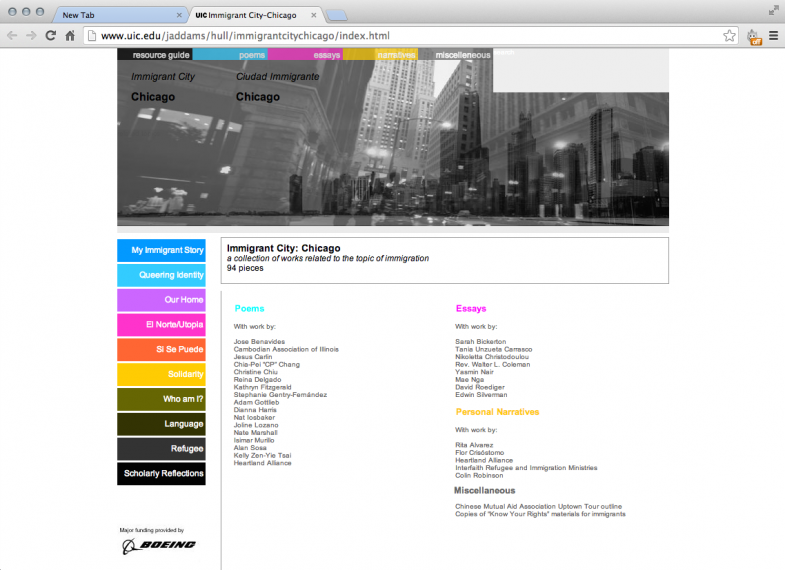 The archive accompanies a print version of the 2010 Chicago New Resident Resource Guide.